This table highlights in grey the breedings that will NOT produce prcd-affected pups due to the presence of the prcd mutation, which is the major risk factor associated with the disease. 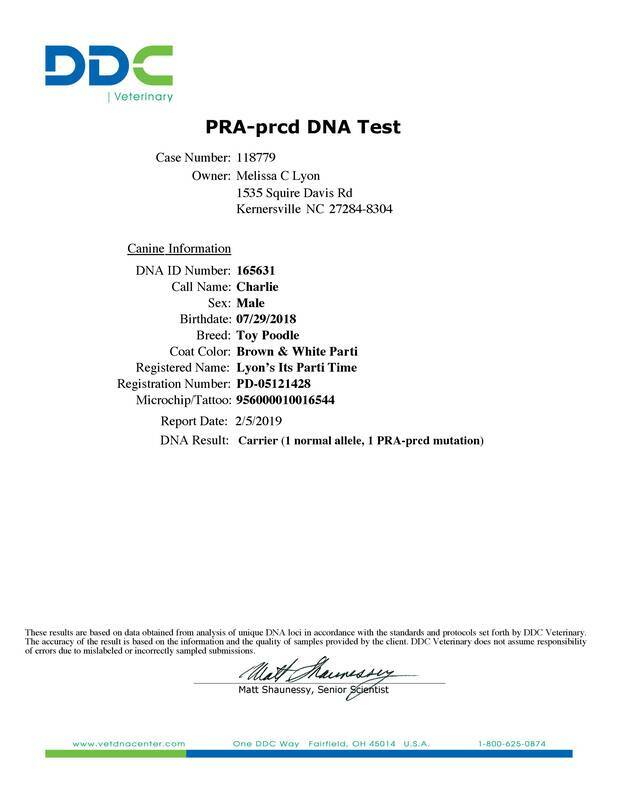 These breedings include at least one parent proven "Normal/Clear" by the prcd DNA test. 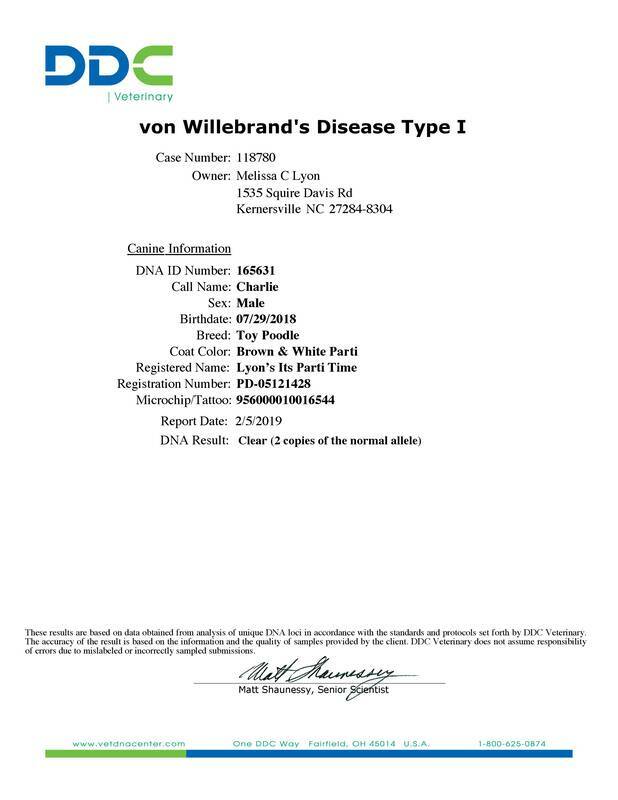 All other combinations are at risk of producing prcd-affected pups. It is recommended to only breed a carrier to a dog that is clear of the mutation. Using statistics as a guide, this strategy is expected to result in a litter consisting of approximately 50% carrier offspring and 50% normal or “clear” offspring. Thus, avoiding the removal of the carrier dog and its unique combination of genetic variants that contribute to the overall genetic diversity of the breed while limiting the number of puppies born with the known, disease-associated mutation.